Products and Services designed for business. Helping to fuel your business success. More and more businesses are choosing propane for a wide range of applications, including propane auto-gas, lawn care equipment, forklifts, ground service equipment, and heat or power generators. 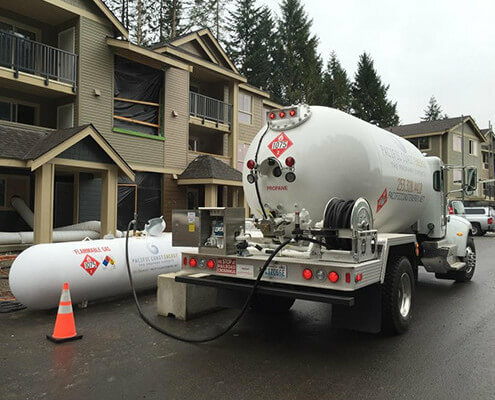 Propane delivers cost savings, convent onsite fuel storage, dependability and performance, and it reduces environmental impact. 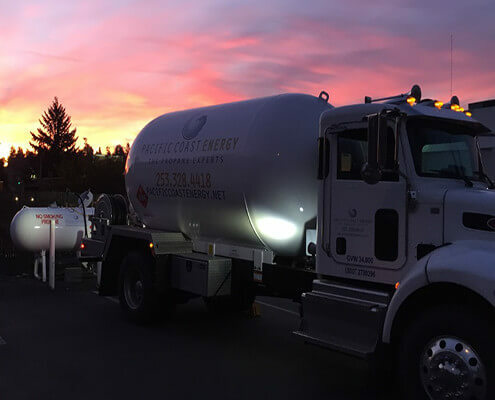 If your business runs on propane let Pacific Coast Energy help to keep your operations humming with onsite bulk storage, bottle fill service or your own dispensing equipment. Job site tank, barriers and fuel service. For filling bottles and equipment onsite. For bottles, forklifts or vehicles. If your company uses propane for its equipment & appliances or sells propane to your clients, Pacific Coast Energy has the right propane service for all your business needs. Wireless Monitoring and fuel delivery service. On-site fill service for bottles or vehicles. Forklift cylinders and cylinder cages. Safety Inspections and Onsite Safety Training. 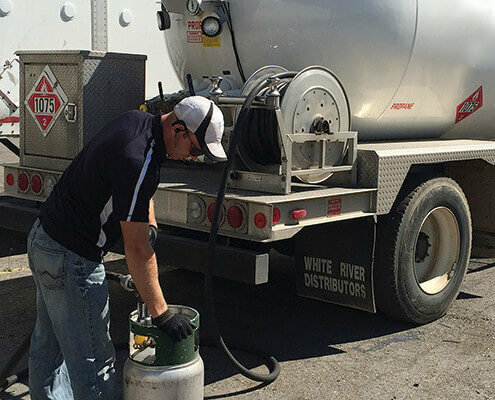 Onsite bulk propane storage tanks and fuel service to support your business and resale activities. Getting your service working quickly and avoiding unwanted downtime is critical to meeting your business goals. PCE will consult and assist with all aspects of the propane service to ensure you are up and running quickly and stay that way. 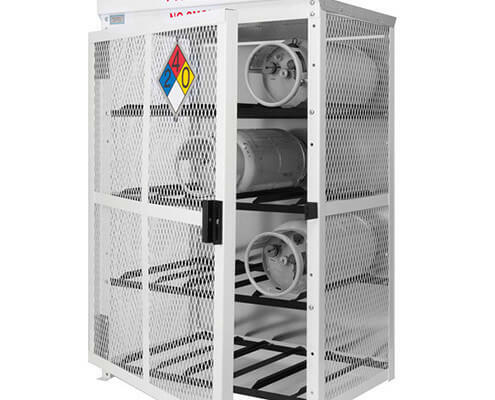 Whether filling bottles for your own equipment & vehicles or reselling propane to your clients, our dispensing equipment provides a safe, fast way to to dispense propane. Your business runs 24 hour a day, 7 days a week. So does ours! We are available 7/24 to assist will problems, schedule emergency fills or anything else needed to keep your business running smoothly. 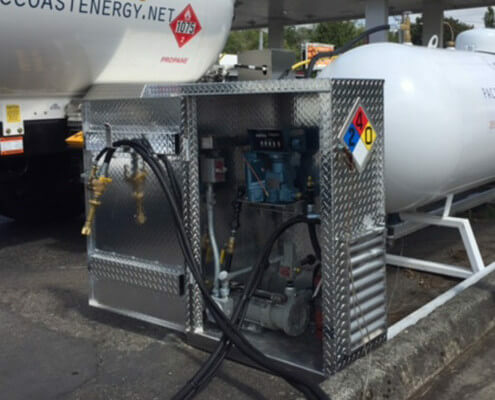 Pacific Coast Energy, LLC is an industry leading propane marketing and distribution company based in the Puget Sound region of Washington State. We are locally owned & operated and we take pride in providing first class service at a fair and reasonable price.